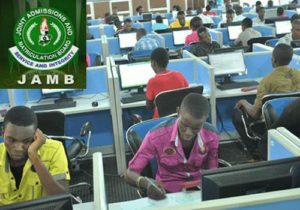 Items Banned From JAMB 2019 Exam Hall: The Joint Admission and Matriculation Board (JAMB) has Ban the use of some gadgets and other materials as mentioned below from the 2019 Exam hall. Candidates are advised to adhere to the new directives. By this notice candidates are strictly advised that they should not come will the following items mentioned below. The JAMB Registrar Prof Is-haq Oloyede Inaugurated the following groups JAMB Monitoring Group, A Civil Society Groups, to watch out for above items as to avoid any form of Exam malpractice, so in case you have any sight issue the Eyeglasses will be scrutinized properly by this groups of people before you can be permitted to make use of it. Please Endeavor to avoid carrying any of those above listed item to the Examination hall Whereby an examination official (board staff or ad hoc staff) or any authorized person is found with any of these prohibited items in the examination hall, such compromising action would be treated as a deliberate act of examination sabotage and necessary sanction will be applied. The JAMB Mock Examination Date is now Monday, 1st April 2019, While the main JAMB Exam Date Begins from Thursday 11th April 2019. You can also make this post beneficial to others by clicking on the Facebook button and share with friends.